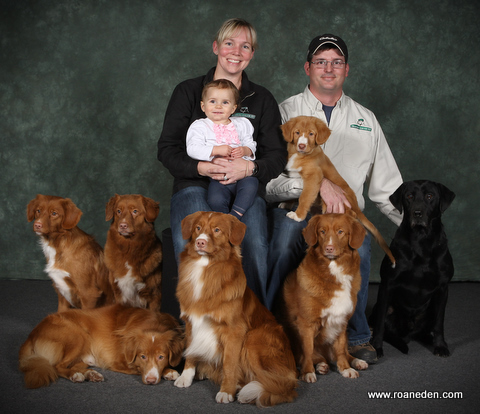 Roaneden is proudly the top winning Toller Show Kennel in North America. Our Kennel has produced many Champions who have gone on to win far beyond the Champion class. Roaneden CKC Registered Retrievers is a family run breeding kennel. We have been active in competitive dogsports for a combined 40 + years. We have trained and successfully titled dogs in Agility, Flyball, Obedience, Field and Conformation. We do all our own training and handling of all our Roaneden dogs. in addition to multiple show wins, including multiple Best in Shows, Multiple Best Puppy in Shows and Multiple Best in Specialty Show wins. ( www.countryclubforpets.com ). He has titled dogs through all levels of Hunt Test and Working Certificate programs. He also has titled dogs in the show ring and obedience ring, and has a few young dogs training for Agility. Together we enjoy both the field and conformation venues, working together to train and show/test our dogs. We also enjoy hunting over our dogs, and spend minimum 3 days a week during migratory bird season out in the field with our dogs. Our young daughters, Courtney and Chloe are a very important part of our puppy rearing program. They love to spend time socializing all the puppies from the day the pups are born. In addition to our passion for our breeding program and dog sport's, we also have a passion for our work. We are fortunate to work from home ! We own and operate "Country Club for Pets Ltd"
Our property is situated on 72 fabulous acres just north of the City of London, Ontario, Canada. We are Pet Care Professionals. We train dogs for our clients, board dogs when people are on holidays, host/co-host Events / Seminars/ Classes, and do lots of Doggie Daycare and grooming. We offer a full service Facility! Our real job is "playing with dogs" ! We pride ourselves in offering Top Quality Dog services ! 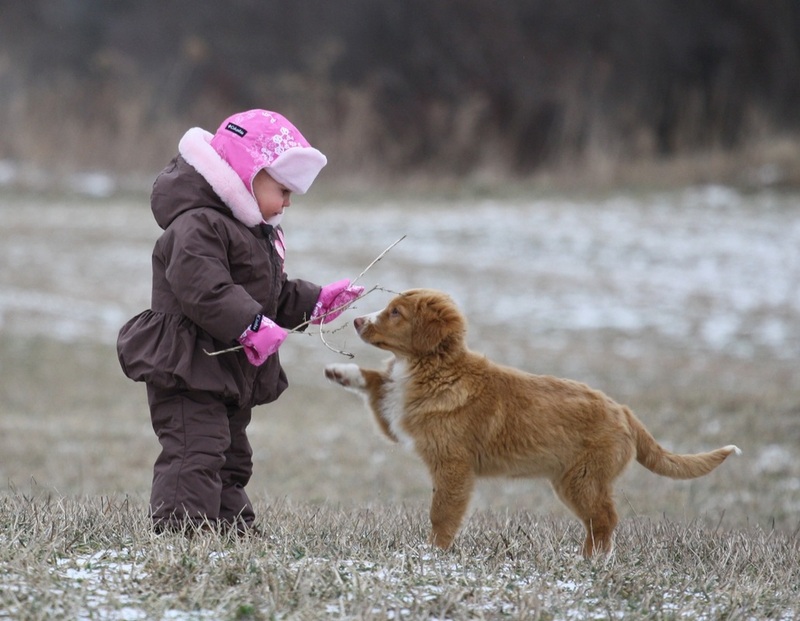 Every puppy we breed is backed by our 40 + years combined experience in dog-care, breeding, and training ! When you add a Roaneden puppy to your home, you are also getting experience and professional support for the life of that puppy! 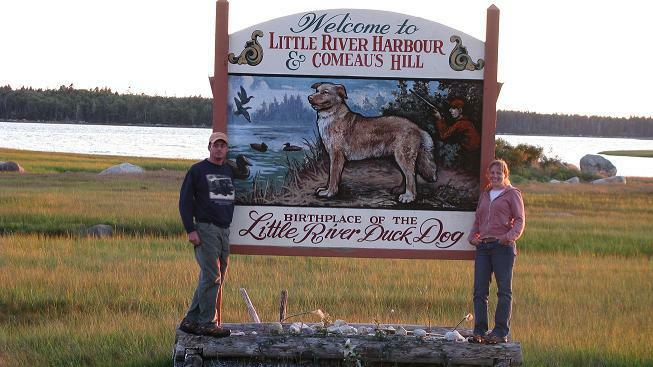 Fall 2008, while on vacation in Nova Scotia, we stopped at the birth place of the Toller. 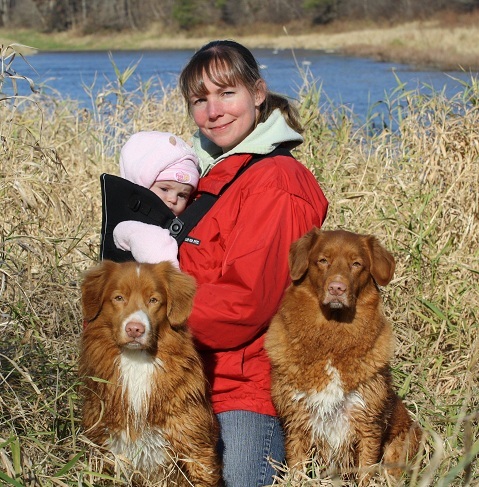 The Toller is also known as the "Little River Duck Dog "